Trusting your business or personal finances with someone you don't know can be challenging. At Jon Bell, CPA LLC, we understand the difficulties behind choosing the right Albuquerque CPA firm for you or your business, which is why we offer a free initial consultation. This allows you to get to know us and us to get to know your business - so we can build a long-term professional relationship. Give us a call today at 505-385-3535 to schedule your free initial consultation. We look forward to speaking with you. Jon Bell, CPA, MACCT, founded his tax and accounting practice in 2010 based on the same core ideals and principles of his family department store - Bell’s Store Inc that operated in Santa Fe, NM for nearly 60 years. "You’re somebody special at Bell’s” still rings true today with all of Jon’s clients. Professional Background: Before starting his firm, Jon worked for one year as a corporate tax accountant for Thornburg Inc. in Santa Fe and was responsible for the preparation of financial statements and tax returns for the corporation and its principal shareholders. Jon also spent three years with Atkinson and Company as an accountant in the firm’s tax and audit departments and five years as a tax preparer at HR Block. Prior to his career in accounting, Jon founded and operated Air Award Exchange, an online broker of frequent flier miles and airline awards which served clients nationwide. He also spent six years as a table games dealer at Isleta Casino, and nine years as a Buyer and Manager for Dillard’s Department Stores Inc.
Having prepared tax returns for 12 years and from running a successful small business, Jon fully understands the complexities of small business and taxation issues. He has prepared tax returns of complicated subchapter s-corporations, limited liability companies (LLCs), and partnerships. He has also prepared complex individual returns including those containing oil and gas interests, significant real estate holdings, net operating losses, and foreign source income. Jon also has experience preparing tax returns for retirees, new homeowners, trusts, and non-profit entities. Education: Jon holds a bachelor’s degree in General Management (BBA) and a master’s degree in Accounting (MACCT) from the University of New Mexico in Albuquerque, New Mexico. Professional Affiliations: He is a licensed Certified Public Accountant (CPA) in the state of New Mexico. Jon is a member of the National Society of Accountants, and the New Mexico Society of CPAs. 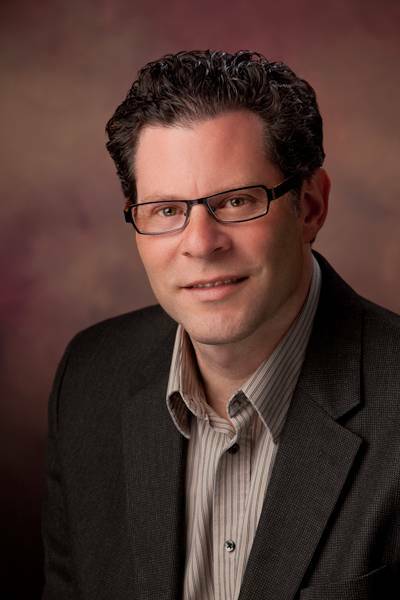 Community Involvement: Jon is the Treasurer for the Jewish Federation of New Mexico. While attending the University of New Mexico, Jon served as the President of Hillel. Family: Jon has been married to Sherry Bell, for ten years. They are the proud parents of their two precious boys, Alec and Aaron. Jon takes pride in being a 3rd generation New Mexican, having been born and raised in Santa Fe, New Mexico. Jon’s parents Irving and Marilyn Bell, and immigrant grandparents Morris and Ethyl Bell, owned and operated Bell’s Department Store just off the plaza in downtown Santa Fe until its untimely closing in 1984. In his spare time Jon enjoys skiing in the high-country of NM, playing tennis and golf, and is an avid fan of the Cincinnati Bengals. Taina has lived in the Land of Enchantment since 2015 and joined the team at Jon Bell, CPA that same year. She holds a bachelor's degree in Mathematics from the University of South Florida and previously worked in operations management for the Chicago Architecture Foundation. She and her husband, Zach, welcomed their first child into the world in March of 2018. Joseph was born and raised in Albuquerque, New Mexico and recently joined the team at Jon Bell in late 2018. He has been a tax accountant for three years and a licensed CPA in New Mexico for over two years. He graduated from the UNM’s Anderson School of Business Management with a bachelor’s degree in Accounting. When he is not working in the office, he enjoys spending time with friends and family, including his two dogs.